In August of 1865, Mikao Usui was born in Japan. As a student, his curriculum included medicine, psychology, religion and seeking to know the future (divination). He then found a Zen teacher who accepted him as a student. Usui began to practice Zen Buddhism. He was searching for a spiritual way of physical healing but was unsuccessful. On the advice of one of his Buddhist teachers, he went to Mount Kurama to fast and meditate. As time passed on while on the mountain, Usui became weaker and weaker. On the 21st day, a powerful light suddenly struck him directly between his eyes and entered his mind through the top of his head, causing him to become unconscious. He awoke and realized that he was now filled with a new level of awareness and symbols. Excited, he ran down the mountain, but on the way down he stubbed his toe on a rock and fell. As he placed his hands on the injured toe, healing energy began to flow from his hands. The pain in his toe abated and the toe was healed. Usui realized that he had received the gift of healing. Usui practiced and developed his healing system through experimentation and previous study of religious principles. In April of 1922, he moved to Tokyo and started a Healing society that he name Usui Reiki Healing Method Society. 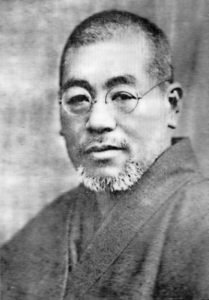 At the Usui Reiki Method Healing Society, and other clinics, he taught classes and gave treatments. Usui’s reputation as a healer spread all over Japan. Before his passing, Usui had asked one of his students, Dr. Hayashi, to open his own Reiki clinic so that Reiki would continue to expand and grow. 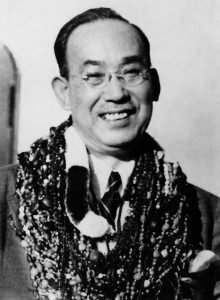 After Usui’s death, Dr. Hayashi continued the practice of Reiki and eventually treated a lady, Mrs. Takata, traveling from Hawaii. After Mrs. Takata was healed, he attuned her as a Reiki master. 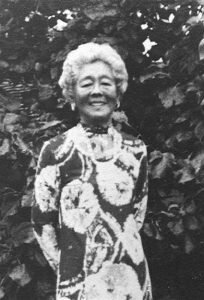 It was Mrs. Takata that brought Reiki to Hawaii, The US Mainland and the rest of the world. Mrs. Takata practiced Reiki in Hawaii, establishing several clinics. She became a well-known healer and traveled extensively to the US mainland and other parts of the world. In 1970, Mrs. Takata began initiating Reiki Masters. We owe a great deal to Mr. Usui, Dr. Hayashi, and Mrs. Takta.